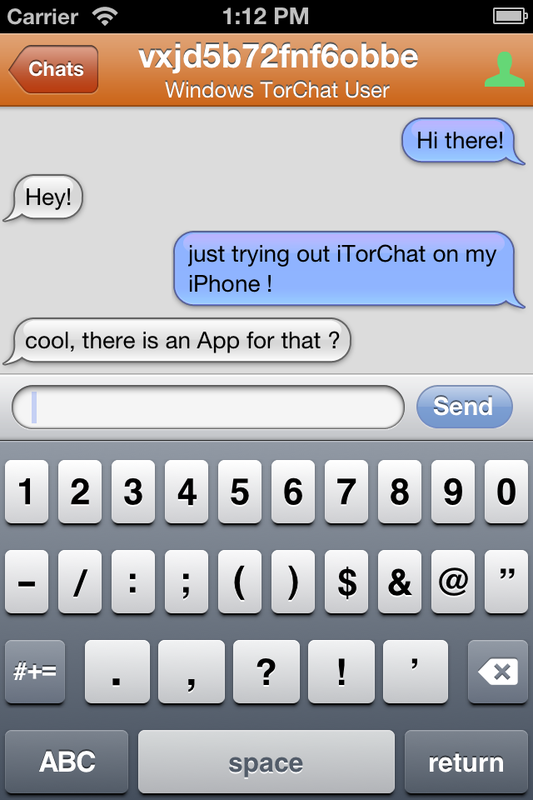 iTorChat - Privacy at your Fingertips ! 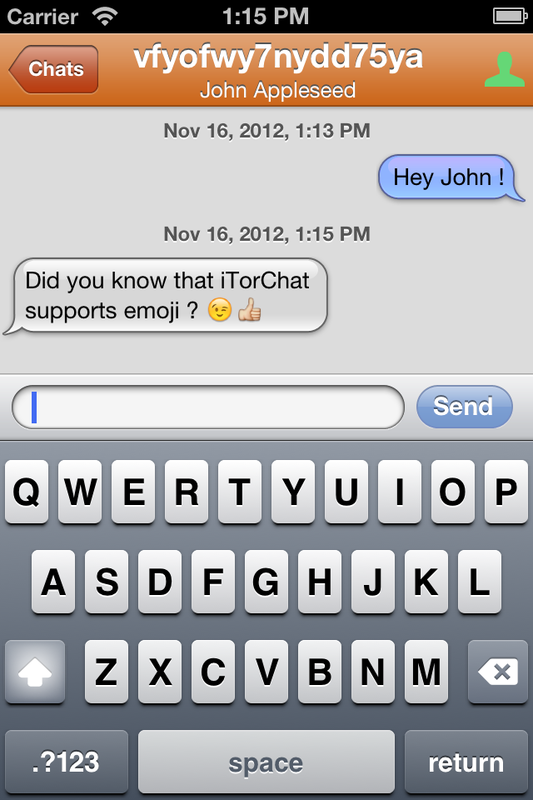 iTorChat is a decentralized, encrypted and anonymous instant messaging application using Tor(tm) to provide the best privacy currently available. 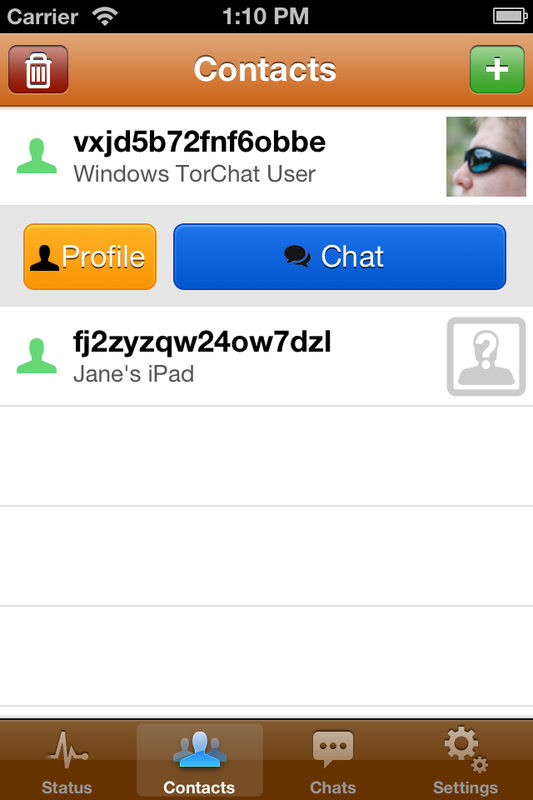 Using peer to peer technology there is no doubtful server anywhere. 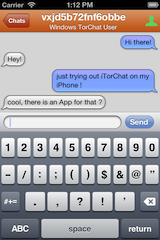 Nobody can find out where and who you are, and what you are sending or receiving. 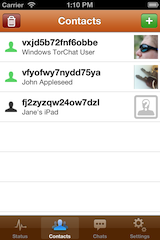 Provides a secure communication channel utilizing Tor(tm) hidden services. 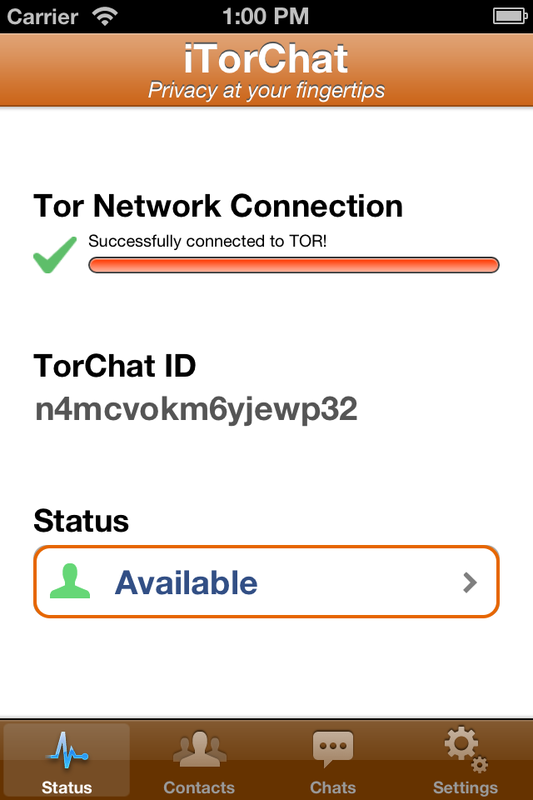 TorChat is a decentralized, encrypted and anonymous instant messaging application using Tor(tm) to provide the best privacy currently available. - Fully decentralized using peer to peer technology. 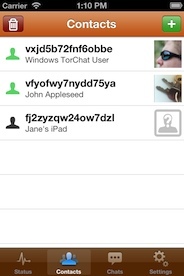 - Strong anonymity while being easy to use. 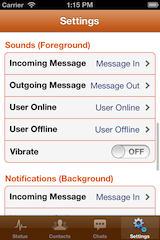 - iOS multitasking support. Connections are kept 10 minutes after going to background. 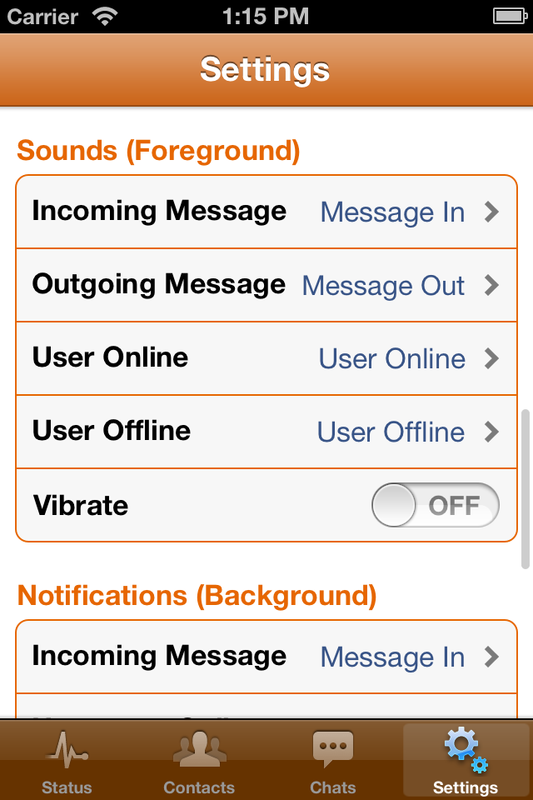 - Notifications while the app is running in background. 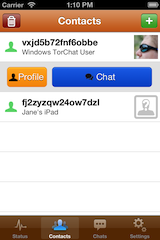 - Provides a secure communication channel by utilizing Tor(™) hidden services. 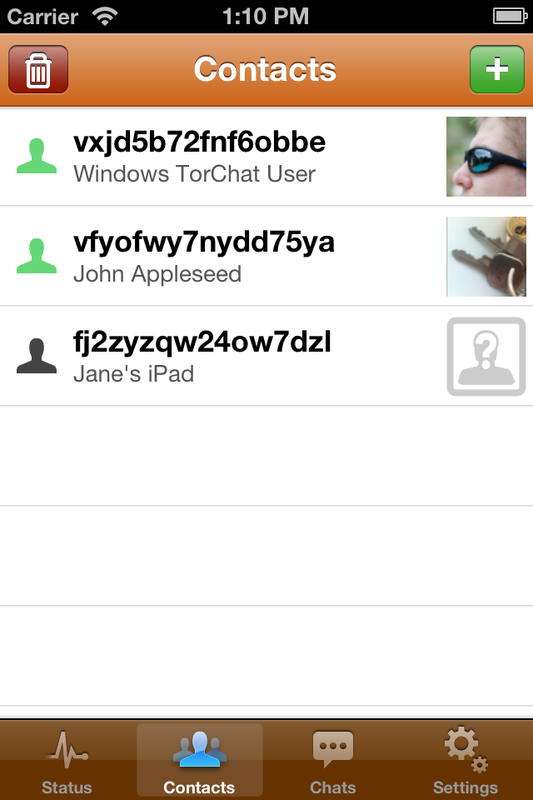 By utilizing Tor(™) hidden services this app ensures that nobody will be able to find out where you are! - won't be able to find out with whom you are communicating. - won't be able to find out where your contacts are located physically. 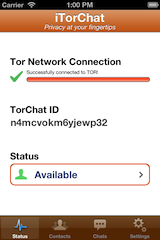 This product is produced independently from the Tor(r) anonymity software and carries no guarantee from The Tor Project about quality, suitability or anything else. If you have any Questions or Suggestions please do not hesitate to contact us using this form.